Hockey is subject to a set of rules and regulations that ensure fair play and maintain the spirit of competition. 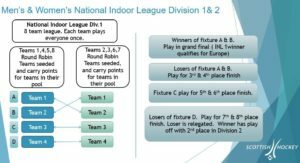 The International Hockey Federation (FIH) publishes international rulebooks to govern the sport. To ensure our values are upheld we organise our activities with regards to a number of codes and policies, as found in the Scottish Hockey Ethics Manual. The Discipline code relating to on field discipline and relating forms can be found here. This guidance is intended to provide information on how to recognise sports concussion and on how this should be managed from the time of injury through to safe return to sport. This information is intended for the general public and for grassroots sport participants, where specialists in sport and exercise medicine are not available to manage concussed individuals. At all levels in all sports if an athlete is suspected of having a concussion, they must be immediately removed from play. 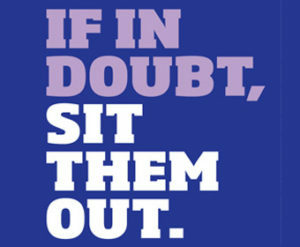 If in doubt, sit them out. No-one should return to sport on the same day with suspected concussion.